7 Kids and Us: Boardwalk Craft Beet Pretzel Mixes + Giveaway! Back in the 70's when I was a toddler, my dad was known for his beer cookies. He made them, and they became so famous he started selling them in stores. Years later he sold the company, but I still remember back to those cookies when I was young, and feeling so grown up that I could eat cookies with beer. Recently I was given the opportunity to try Boardwalk Craft Beer Pretzel Mix in Original and Cinnamon Sugar. 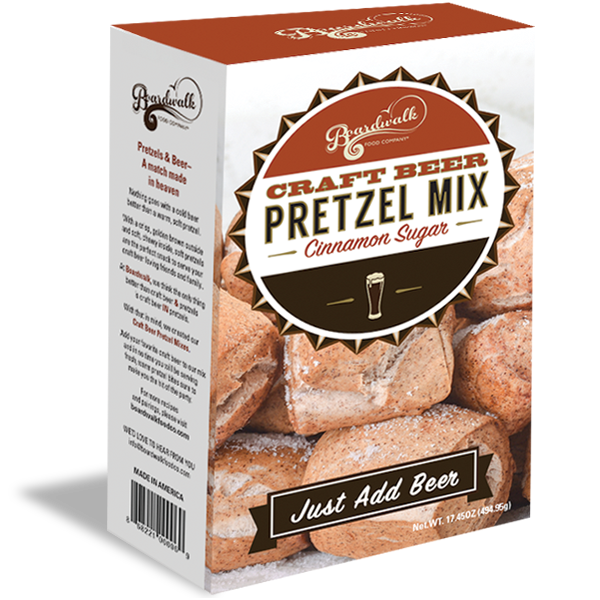 These pretzels are super easy to make and they taste great! Don't worry about sharing them with the whole family, the alcohol burns out when it's cooked. 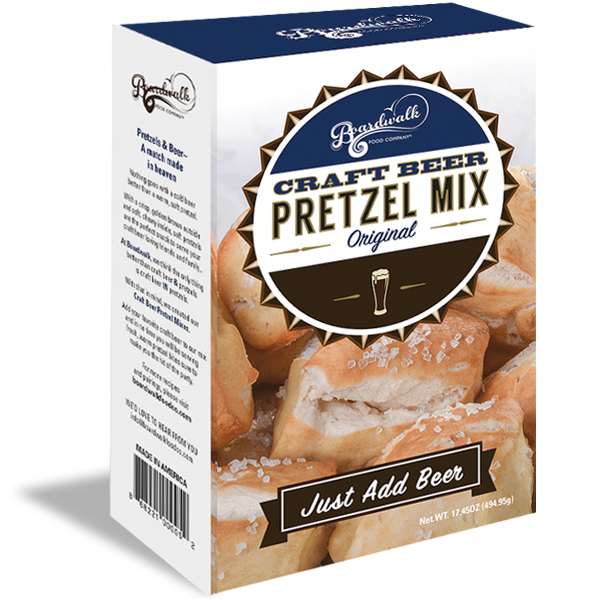 My favorite thing about these is that the only ingredient you need is beer! That's it!